Patron Fork Promo Feat. Mo Nussbaumer — WETHEPEOPLE BIKE CO. The Patron Fork from WETHEPEOPLE is all about choice and giving you the option to pick between two popular versions. The 7mm full investment casted heat-treated hollow dropouts are what make this fork so special and are offered in either a traditional 35mm offset or a more street orientated 25mm version for those of you who like to get nice and steep on the front wheel. 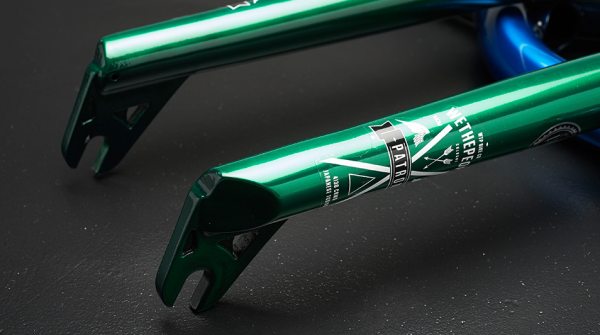 The Patron Fork is run by many of our PRO and AM riders and is a fundamental product in the current WTP collection. Mo Nussbaumer has been out in Barcelona for a while now and he managed to sneak a few clips in for this promo. Backed by our full lifetime guarantee, the Patron fork might just be the last fork you ever buy. For more info on this product click here.